“In this world,” Ben Franklin famously once wrote, “nothing can be said to be certain, except death and taxes.” But I would also argue that neither is completely out of our hands. When it comes to our health, we all know that we should exercise, eat right and go for regular checkups. And when it comes to our tax bill, there’s quite a bit we can do to minimize it, especially in retirement. Below, I’ll illustrate how you might achieve an effective tax rate of less than 3% in retirement—even if your income is $100,000. How is that possible? The main thing to understand: When it comes to your income, the government doesn’t tax every dollar equally. In fact, some dollars don’t get taxed at all. If you know the rules and are able to structure your income wisely, you could find yourself enjoying a high standard of living in retirement—without paying much tax at all. 1. The standard deduction. In the tax code, everyone receives a “free pass” known as the standard deduction . For married couples in 2018, $24,000 of income is tax-free, no matter how high their total income. In fact, once you turn 65, you’re eligible for an even higher standard deduction. That’s the first leg of the stool. 2. Social Security and Roth conversions. The second leg of this strategy requires careful timing, but isn’t overly complicated. For starters, you’ll want to delay collecting your Social Security benefits until the latest possible date, which is age 70. That accomplishes two things: First, in exchange for waiting, the government will send you checks that are dramatically larger when they begin at age 70. Second, delaying Social Security will allow you to keep your tax rate low during the initial retirement years. This is important because it will allow you to convert some of the funds in your traditional IRAs to Roth IRAs during those early years, when your taxable income might be close to zero. In fact, by taking advantage of the standard deduction, you could convert as much as $24,000 a year from your traditional IRA to a Roth free of tax. You might even choose to convert more than that. After all, the lowest tax bracket is just 10%, imposing a modest hit on the funds you convert. Result: Even if you never had the opportunity to contribute to a Roth during your working years, you’ll have a multiyear second chance at this stage of your life. 3. Tax-free income from your taxable account. Most people think of Roth IRAs as the only type of account that permits tax-free income, but that’s not quite right. In fact, it overlooks a gigantic opportunity, which is the third leg of this strategy. Within your taxable account, you can hold tax-exempt investments, such as municipal bonds . That’s well understood. What you may not have known, however, is that the government provides another free pass when it comes to capital gains income . In fact, in 2018, a married couple with taxable income up to about $77,000 will pay a capital-gains tax rate of precisely 0% on any winning investments they sell. • Social Security. At age 70, suppose you receive a benefit of $40,000. The taxable portion is potentially as much as $34,000. • Roth IRA. Withdraw $20,000. This income is completely tax-free. • Traditional IRA. Withdraw $20,000. This income is fully taxable . • Taxable account. Withdraw $20,000 by selling winning stocks and stock funds. This income will be taxable only if your total income moves you out of the 0% capital-gains tax bracket. 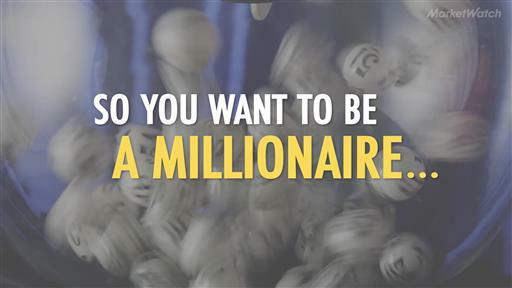 So you want to be a millionaire... We can't get you a winning lottery ticket but these five steps will help you get there before you retire. Your total income under this strategy adds up to $100,000, but the potentially taxable portion is just $54,000—a combination of Social Security plus the traditional IRA withdrawal. The sales in your taxable account will be tax-free because you’ll be eligible for the 0% capital-gains tax bracket. Now, we subtract the standard deduction of $24,000, plus the extra $1,300 per person deduction enjoyed by married individuals age 65 and up, and that reduces your taxable income to well below $30,000. What’s the tax on that? For a married couple in 2018, it might be just a few thousand dollars. But in this case, I would look to employ additional strategies that are available to those with hefty assets. For example, I would make contributions to a donor-advised fund in years when your income is particularly high. You could also transfer minority interests in some income-producing assets to your children. By making those transfers, you might simultaneously reduce both your income and your ultimate estate tax exposure. Finally, you might consider establishing residency in a state with no income tax. Reprinted with permission of Humble Dollar . Adam M. Grossman’s previous blogs include Free for All, On the Other Hand, and Headlines and Head Games. Adam is the founder of Mayport Wealth Management, a fixed-fee financial planning firm in Boston. He’s an advocate of evidence-based investing and is on a mission to lower the cost of investment advice for consumers. Follow Adam on Twitter .